When PASS held their pre-season rules meeting Saturday afternoon in Augusta, Maine, it was a pretty straightforward gathering of officials and owners. 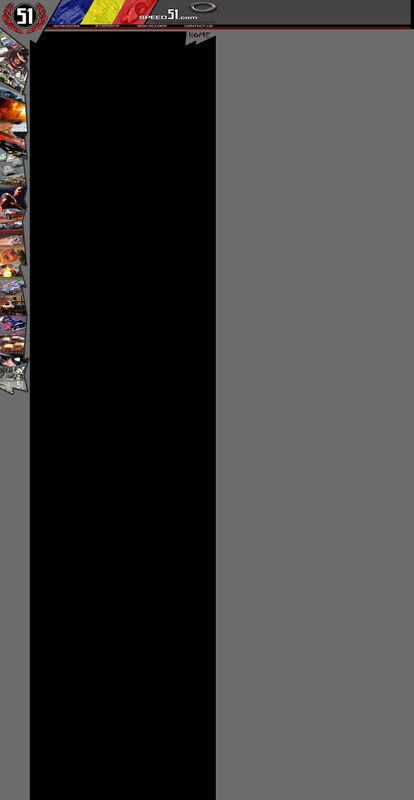 The deep Northeastern-based Pro Stock (Super Late Model) tour did not announce any wild gimmicks entering their fifth series of existence. There weren’t any controversies among the owners and officials either. Basically, it was just a case of discussing a few minor tweaks to the technical rules, going over a new schedule and looking ahead a little bit to the future. Not all of the teams were represented. Attendance was not helped by multiple inches of snow that were coming down over Southern and Central Maine at the time of meeting, but many of the series top drivers, including Johnny Clark and Ben Rowe, were in the audience. Most of the talk at the meeting revolved around engine rules. While not much is going to change for 2005, series officials noted that they are looking at different options for the future. “We are trying to look ahead and come up with a vision for our engines in the future,” said technical director Paul Johnson. Engines that are being looked at include both General Motors and Dodge crate engines producing around 480-485 horsepower. Currently, PASS cars are in the 525-530 horsepower range. Rules adjustments could be made by allowing the less powerful cars to be lighter, leveling the playing field. But don’t expect spec engines to be the only way to go in PASS for the future. Part of the challenge for PASS is to make the tour economically feasible for the 10-15 tour regulars, as well as the part-time competitors and weekly regulars from various tracks through the region. Pro Stock teams from Oxford Plains Speedway (ME, Thompson Speedway (CT) or several other tracks can currently load up and go to any PASS event on the schedule. While the long-term PASS engine rules aren’t yet figured out, a few tweaks are more impending. 14 degree heads and 9:1 motors will likely be phased out over the next few years. The possibility of allowing a certain number of common heads, like what is done in the USAR Pro Cup Series, was discussed as an option. Roller rocker camshafts will not be allowed. Mufflers will be mandatory in 2005 at all tracks and a weight breaks for engines with 14 degree heads will be in effect. Currently, those cars are allowed 25 fewer pounds, but that could change to 50 pounds if deemed necessarily. Weight adjustments will also be made for different intake manifolds. 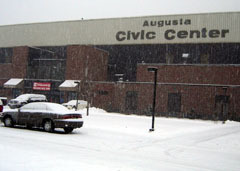 Just getting to the Augusta Civic Center for the PASS meeting was a challenge. Several inches of snow fell before, during and after the meeting. Mayberry pointed out what happened to the ACT Tour as an example of how rules can affect a series. In the late 1980’s, the tour attracted local Pro Stock racers who could come to races and be competitive with the tour runners. Then, a series of rules changes to dry-sump, 9:1 engines and V-6 engines, kept the cars specialized and hurt car counts. Eventually, the series went into a hiatus. In its most recent form, ACT adopted crate engines and now draws Late Models from tracks throughout Northern New England. As a result, they have some of the healthiest car counts of any regional series in the county. Competitors were also told that technical enforcement will be stepped up in 2005 with intakes being pulled on the top three finishers in at least four events this coming year. Transmissions will also be policed closely as well in an effort to keep costs down. Body rules were also a topic of conversation. ABC Bodies are going to be the future of the series and after the mid-season point in 2005, tour regulars (those racing for points) will be required to run only the ABC body with exceptions being made in emergency situations. Weekly competitors from other tracks that don’t run ABC Bodies will still be allowed to enter PASS events with weight concessions being made. The noses of the ABC Bodies will need to be at least four inches from the ground, however teams will be allowed to run plastic sheeting of up to one inch at the bottom of the nosepieces. In 2004, there were 136 drivers who showed up for at least one PASS event on the schedule. 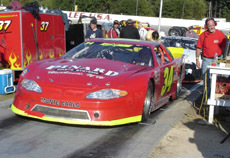 The series got started in 2001 when Mayberry, a former Pro Stock racer himself, saw a niche for the tour. With a healthy 18-race schedule throughout New England in 2005 and solid car counts, the tour is in good shape and Mayberry made sure to give credit where it was due at the end of the meeting.